These are the perfect size for making overnight oats or for fixing up your own yogurt breakfast jars with fresh fruits. I love the wide mouths that let me scoop all the food out - plus they are much easier to wash out! Ive been using these for about a week now, and my mornings are so much simpler now that I just can grab a jar for breakfast and go! Awesome color and exactly what I was looking for! Pretty color and I liked the wide mouth. I used these jars as vases for a tab,e centerpieces! They looked beautiful when completed. Love these - use them as drinking glasses in our home! Looked all over for these blue jars and finally found them here. They look great in our kitchen and work really well as drinking glasses. Very happy with this purchase. Really beautiful jars highly recommend them. I use mine with homemade candles great! 2013 marked the 100th anniversary of the first series of jars designed by Ball brothers, each jar intended to be better than the one before. 1913 saw the launch of the first true "Perfect Mason" jar. These limited edition jars are a celebration of the heritage, featuring period-correct blue color and embossed logos on the front and back. 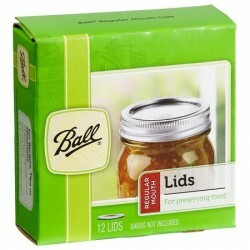 These vintage-inspired jars maintain all of Ball's modern standards for quality and reliability. 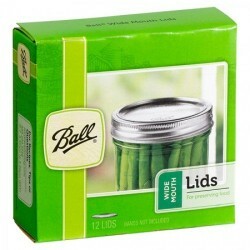 Perfect for all of your home canning needs... or as a collectible item! The jars are embossed with the years 1913-15. These years are designated as this is the time frame the blue glass was originally produced. THESE JARS ARE NO LONGER BEING PRODUCED! DONT WAIT FOR THE NEXT LOT IN 100+ YEARS! GET YOURS NOW! BEWARE of cheap Chinese copies!